More from Ora: Is Rock And Roll Dying? Emmy-winning actor Michael Chiklis revisits his time on the 'The Shield,' and discusses a potential reboot of the popular FX drama. Plus, Michael talks season 3 of Fox's 'Gotham,' and, in a rare moment, weighs in on the 2016 election. Is Rock And Roll Dying? 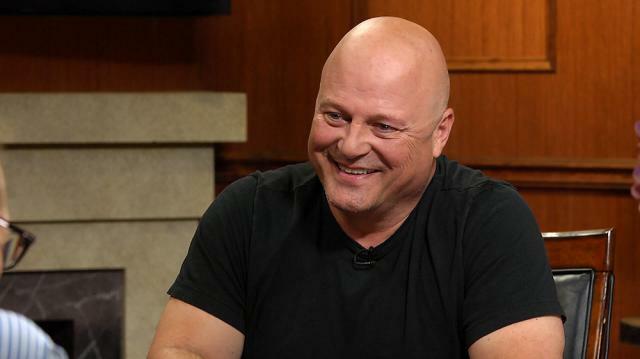 Award winning actor Michael Chiklis and Larry King discuss the actor’s new rock album ‘Influence.’ Chiklis rehashes his history of playing music as a personal hobby, and what drove him to make an album for wide release. Michael Chiklis sits with Larry to discuss his role of Captain Nathaniel Barnes on the Fox drama ‘Gotham,’ which premiered its third season on September 19, 2016. Then the Emmy winning actor and Larry turn their attention to the role that garnered him the award, corrupt cop Vic Mackey on FX’s ‘The Shield.’ Chiklis speaks to his history of playing cops and tough guys, and the types of roles he hopes to shoulder in the future. The Golden Globe winner and Larry King then consider the 2016 presidential election, and Michael Chiklis reveals his take on the current state of American politics. The two also touch on gun laws, and the need for nuance in our national dialogue.